I just wanted you to know that I know Mr. C actually stopped by a hobby shop I frequent and mentioned he went over to pan pastels-- trying to debate between the material or the videos, one without the other seems questionable so I forged ahead with my old methods of acrylics, chalk pastels (not sure what these really are...) and "watercolor" paints from walmart... This is a work in progress (and not from proto photos...OOPS!) It is a start though and more pleasing to my eye so far than these out of the box cars. In less exciting news I finally got around to trimming the windows, will be doing the finish prep on them over the next few nights and expect to reinstall the portion of benchwork this weekend some point. Glad the swing bridge side has held up OK as far as alignment goes. No derails over it.. need to order some arizona minerals ballast to top off my ballast to color correct it.. (glad i used sand as the base) however...a $5 40lb bag is far more economical at this scale and I went purposefully light incase I decided I wanted to top it off with another product. NCE is my favorite most user friendly by far. Also progrmaing consists and such is much easier. Love the PowerCab ! Very easy to use and program with . NCE and MRC have very similar layouts so you can move from one to the other without retraining. I have a power cab as well and won't do anything else. I finally connected all 3 staging tracks. Ran the bus wires and am going to solder feeders tonight as well as install that last piece of fascia/guard in the curve. Am still debating the overall look- may paint everything black to convey a sense of off stage...may also go and ballast/do basic ground cover to make it not feel as sterile as the blacked out look may give. Here I am roughing in the last scene that is bare foam.. a small drainage ditch/culvert...will be touching up ground cover across various patches of the whole layout and progressing some of the dirtier scenic work before trains roll again. Here you can see some slight washes of india ink used to darken the ballast from the sand tone to a more appropriate gray blend. I also started going over the mainline with darker dry brushed colors to darken the main line ties up. I am going to go back to spots that I missed and give the grime/gray color underneath and come back over most of the ties to make the a darker brown/black creosote mess color! Here you can see I am raising the station to the correct height and started to lay a base of foam to raise the parking lot to the correct height. Other than that I got a piece of ballast in my C420 drive and learned to disassemble the trucks (a necessary evil..) Decided while I was at it to go ahead and remove all the trucks from my freight cars and everything got masking/dullcote to begin weathering my "fleet". I say scenic it the staging. There's no point in not, if it's visible. Think about it this way: if nothing else, it's another environment to stage photos in. I decided to go that way Ed; just hard to come to terms with so much more ballasting Anyways I took a big bite out of it tonight going about halfway through the curve on the shorter side of the staging yard...perhaps this yard needs a really generic name..Oufsene Yard perhaps. Here is the new acquisition in replacement of the bluebird that was DOA. I decided to root myself more firmly somewhere in the 90's...Guilford has taken over, All sorts of units roam the rails, Guilford schemes, MEC, old BM, and some visitors. U Boats, Geeps, whats not to love? Here I added a bit of ballast to give a more sunken tie effect on the most beat up spur. And here is a mockup of the tower location with the junction that has been removed. This will be modeled after Waltham MA with some liberty taken. The leg of the wye that is connected in Waltham is used as a MOW spur, I am going to model it as having been disconnected all together. Hope to finish going around on the ballast for a first pass of all staging tomorrow. Then will go back and do some track/tie paint and weathering on the whole layout. I also got to adding a first pass of some basic ground cover over the culvert/trackside area that was just roughed in the other night. Well well. After staring at the layout seemingly endlessly the last few nights I decided I want to extend the passing siding and move the bridge further right toward staging. This would let me have a substantially longer train on the passing siding and that nagging in my head is overcoming the progress made to date. Tonight's agenda is to remove the track/switches on question, the bridge and all scenery to the right and begin filling the existing river scene and carving out the spot for the new one. I am also going to purchase a second bridge kit to make a double span out of staging and then coming into the reconfigured passing siding. Sometimes a step backward helps you take 2 forward. I am also going to model the newer longer river/bridge scene as deeper water without the 2 part resin and using the Dave Frary mod Podge water which I have done several times before. I will take some photos as the work progresses! Also a large sale at the LHS this weekend and I am going to pick up 2 more engines (Guilford and BM or MEC) a handful more cars and he necessary track/bridge and materials to install the new track work/scenery. Also thinking of reconfiguring the house location to be a second warehouse out of the DPM modulars to create a "warehouse canyon" visual. Exciting times on the unnamed shelf layout! Go for it! I like the ground cover in that last shot. I took the plunge with Tortoises in my staging and it was really worth the effort (and cost). It took me a long time to convince myself that it was worth it. Above are some quick and dirty building placement changes for approval by the fellow urban planners. I moved the house to a new grade crossing across from the lumber yard. A good background photo should turn the small industry into a much deeper feeling scene. I rearranged the mill complex. I like the visual of the canyon of warehouse around he two tracks. Of course the tracks in the spur don't work with the new passing siding, so I will begin be process of removing the track and cutting the first switch far enough back to make the spacing plausible. Finally I moved the bridge to its location and the piece of lumber I staged next to it represents the length of another span. This will give a more impressive river scene which I am happy to incorporate as a signature scene or LDE. The single span was admittedly underwhelming. I plan to relocate the switch to the passing siding just beyond the bridges near the location of the signal tower. I am unsure about relocating the signal tower to here or keeping it in the original location adjacent the abandoned spur/junction. Any input gladly appreciated. About to soak some track, bust out the knife and vacume and hopefully get to some foam work tonight to progress the new land forms. Is this all worth it for 4 or so more feet of passing siding? Hell yes! A larger bridge/more impressive river ala the Merrimack in Haverhill is also very welcome. This is the first layout I used white glue instead of latex caulk on the track...and guess what a bit of water and the track to be removed came up in less than 10 minutes, all in tact and ready to be reused. I didn't think of this aspect when I used white glue, just used what I had on hand...good to know rmeoving track dosnt have to be painful. wetting my sand/grout mess kept the dust down while stripping it with a putty knife/razor and the shop vac make short work of clean up. Success. Here you see I removed the section to largely become the new 40" bridge scene. Surprise surprise; lo and behold I have a new partially completed HO diorama. Since I wont have anywhere to model a wooded hill type scene, this will be saved and turned into a standalone diorama to take outside and show off my mediocre weathering! Joy! While messing on this side I had the idea to relocate the old mill style structure to this side of the grade crossing. Being adjacent to a larger river reminds me of the mills I grew up seeing in Manchester, Lowell, Waltham and so on so on... Figured I may as well buy another switch and make a small spur...perhaps it is still in use and repurposed like the Joy MFG plant in Claremont NH after Joy MFG left and various tenants used the space before rail service ended. A lesson learned is to not be afraid to change things on a layout, you built it; you can change it. Getting out of the armchair and making something (even if you realize your plan was flawed and needs to be reworked..) is so much more enjoyable! I forgot how fun this hobby can be when you arent stuck designing track plans and aborting 10+ attempts of layouts.. Taking suggestions for the building on the spur to the left of the station if I relocate the middlesex mfg kit. Thinking something not brick (seriously...everything is brick!) Perhaps some sort of ugly semi modern corrugated metal structure with some loading doors. Maybe a food processor? Still playing with ideas for what these extremely generic looking mill/warehouse/mfg buildings will represent. I better make up my mind soon before I buy a ton of unrelated cars at the sale! 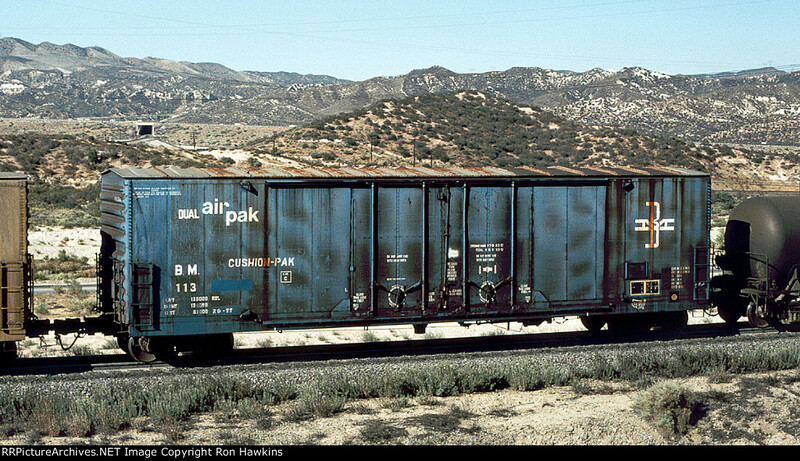 Love the BLMA reefers but too modern for me I am guessing...time to research and crack a beer! Well the sale was a great haul: I got another bridge kit, chooch abutments and a pier. A walthers Washington salvage kit, an atlas gold Guilford sd26 and u23b. 2 tank cars, 7 hoppers. And a trip to Home Depot for some wood to remake the benchwork on the new bridge portion. Have tomorrow totally free to see how much of a dent I can put in the new aspects...and to reflect on the new hole in my wallet!